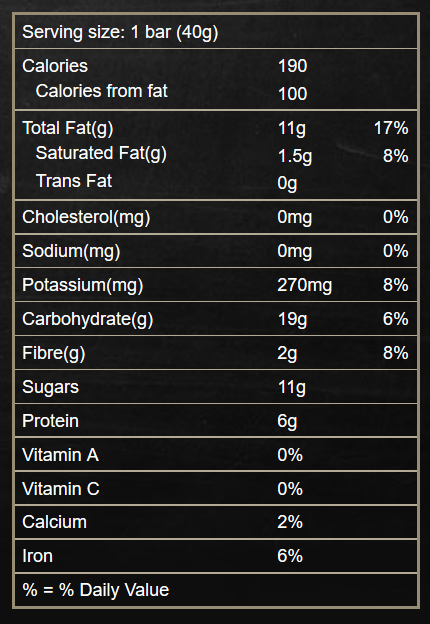 Brazil nuts are the exotic exchange students of the nut universe. They’re glamorously different, with a tantalizing hint of tropical mystery. Their rich, creamy flavour is matched with raisins, pomegranate juice, pumpkin and sunflower seeds, for a snack bar with an irresistible crunch. 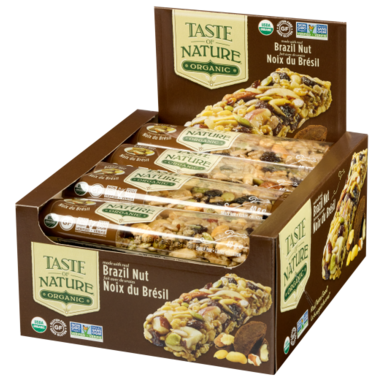 If your taste buds are craving a little excitement, mix up your same ol’ same ol’ snack routine with the Taste of Nature Organic Brazil Nut Snack Bar. Contains: Tree nuts (brazil nuts, almonds, cashews) and peanuts. May Contain: Other tree nuts, sesame, soy, pits and shells. OMG SO YUMMY!!! Not to sweet and nice n nutty! Healthy and filling - will buy again! Love that this is GF and low glycemic and also delicious - a difficult combination to find. very handy for a nutritious snack. Will certainly buy again. My second favorite pick of all the flavour choices. GREAT! have one in my purse and car at all times. Good tasting, healthy snack for after curling, hiking or just when you feel hungry. Excellent - I use these for backpacking trips - a quick snack along the way! These bars taste great, and I love how simple the ingredients are! No need to worry about tons of added sugar, and ingredients you can't pronounce! Simply delicious! Totally delicious! I love that it is an all natural and organic way to get your sweet fix. These are good.....and I really like the ingredients - no refined sugar! They aren't super sweet, just raisiny and nutty. They aren't kidding when they call this a nut fiesta! 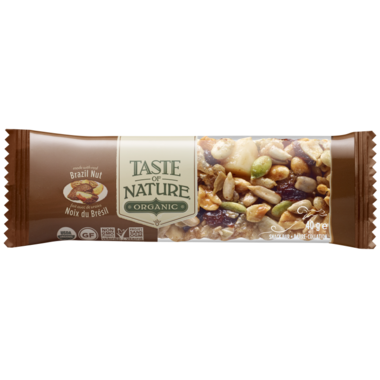 Normally with this type of bar you would find nuts spaced out between some kind of granola filler, but you can tell even from the picture that this is not the case with this bar. It's just sweet enough, and quite tasty! All I can say is yum! This chewy nut bar is too good to be true-- just the right amount chewy, and sweet, but not so sweet that you can't finish the whole bar. Plus, it's completely organic and full of healthful ingredients! Now, when I get the 3 pm chocolate craving, I can reach for one of these guys instead.